It’s not uncommon for consumers to buy home products from online retail platforms nowadays as there are more choices in terms of style and prices. That brings us to the next question – are you using any of these platforms to promote your home products and services? In today’s article, I’ll be talking about an awesome platform called Houzz and show you how to use it for your business marketing. It is going to be exciting, so let’s dive in. For those of you who don’t know, Houzz is an online marketplace that connects homeowners to design and builder professionals. Its visual based directory allows one to easily search for products, view project ideas and communicate with clients or businesses. Since its inception in 2010, Houzz has seen a tremendous growth as a home remodeling online resource center. The site gets about 40 million unique visitors every month. About 73% of those traffics comes from the United States. There are currently 500K + professionals use the platform to market their businesses. More than 4.5 million project photos are available for viewing. Clients who use Houzz are mostly upscale homeowners who have the budget for professional services. About 90% of these clients owns their properties and are constantly seeking ideas to build, remodel or decorate their homes. Since Houzz is great at featuring projects, all these professionals can come together to contribute their services and get more people to discover their businesses. One of the most important features is that you can create a business page within Houzz for clients to easily find what they want. This is known as a seller profile and you can easily create one for free to feature your products on the Houzz marketplace. Do keep in mind that Houzz takes 15 percent sales commission from sellers, which is a fair deal since they don’t charge you anything for hosting or marketing until you actually sell something. There are a few things, however, that needs to be in order to ensure that your products show up prominently on their site. A profile image in this case is your company logo and the size file should be at least 150 pixels by 150 pixels. A cover image, on the other hand, is a high quality image that conveys your product line or company and it should complement the overall business brand. These are two images that visitors will see first – think of good impression – when they land on your business page so be sure to give the designs some thoughts. Similar to local directories, Houzz is an established source that can provide a citation for your business, especially within the home improvement industry. When listing a company’s information, make sure that the name, address and phone number details are consistent with other directories as well. Imagery is one of the elements that make Houzz listings appealing hence, it is prudent to upload high quality photos (use JPEG or PNG) whenever you want to feature a finished project or a particular product. It is also a good idea to get professional shots because you never know when these photos will be selected to appear in the Houzz editorial publication. The process of optimizing a product page, simply means describing each product with keywords to distinguish them from similar products in the same category so that they would show up prominently within Houzz search algorithm. For example, instead of just saying ‘white bed sheet’, you could write something like ‘Soft Egyptian Cotton Super Single White bed sheet with 600 Thread count’. See how the latter offers more specifications that could give customers a better idea on what a product is all about? Here’s another example of what a good product description looks like on Houzz. Taking the time to describe each product meticulously will also distinguish your products from that of your competitor’s. Here are some keyword ideas that could help you. On your business page, there are three areas that you should take advantage of for more brand exposure – ideabooks, reviews and questions. The ideabook section is similar to a product catalog except that it displays more functional ideas that can inspire the readers. The reviews and questions sections focus mainly on the customer’s purchase experience and answering any concerns they have for a particular product. The accumulation of engaging with these three activities will contribute to your overall seller score and can potentially increase the purchase rate for your products. So this is something that you should consider doing on a daily basis. If you already have a pre-existing business website, you may embed a Houzz badge to drive visitors to your business page (on Houzz) to showcase your work within the community. The platform also offers a variety of widgets, button and Facebook page tab that comes handy when you want to share your business information online. For those who specializes in home improvement services, you can create a professional profile for free and link it to your actual business website. Instead of product catalogs, this page will utilize the project section to highlight projects that your company has been involved with to help with more brand exposure. Besides the free listing, you may also choose to advertise your services with Houzz for a certain amount of fee, usually within the range of $500 to $1000+/month. Obviously, you need to have the budget for this and another thing that many businesses overlook is the percentage of active Houzz users within a demographic area. If it doesn’t justify the return of investment, you may want to wait a bit longer before going into the advertising route. Here is something interesting for people who likes to write about home improvement ideas without having to own a brick-and-mortar business. Houzz offers an affiliate program whereby any referral sales from their product marketplace will earn you a 10% commission. What type of products can you promote? 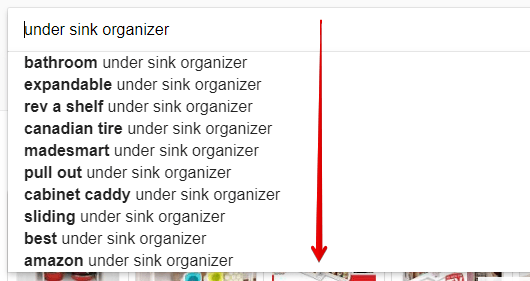 Well, a plethora of them when you look at the product categories below. In order to earn recurring income from affiliate marketing, you’ll need to create a blog that contains a lot of relevant information pertaining to this niche. First, find a domain that best represents your interest. Next, set it up with WordPress because it’s the most versatile blogging platform out there. Then, search for low-hanging keywords and write articles that can add value to consumer insights based on those topic ideas. Here are just some of the keyword topics that you can get from Google. Following that, link a relevant topic to a product review page that contains your affiliate link to the Houzz marketplace. When visitors click on the link to purchase the item, you’ll earn your commission. If you are interested in their affiliate program, please visit ShareASale network to sign up. Whether you are running a local business or an affiliate blog, there are many advantages to using Houzz for marketing. 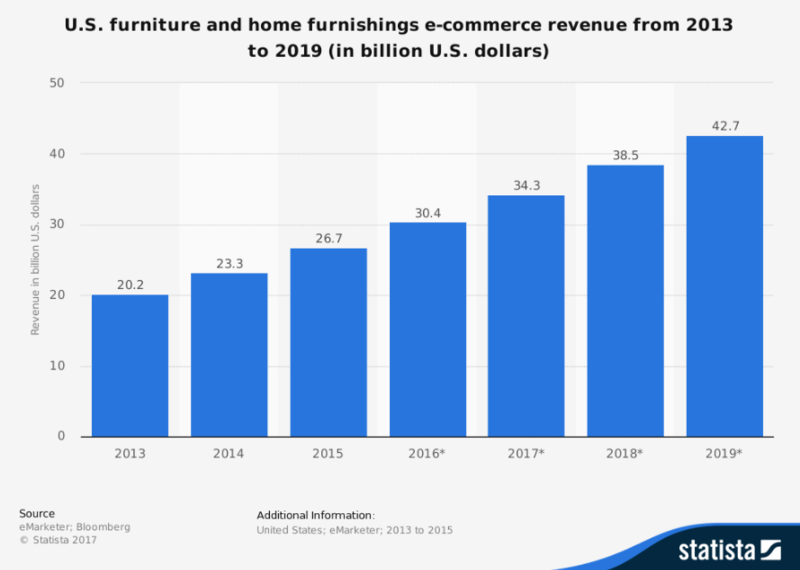 The home improvement e Commerce is thriving as we speak and to ignore this trend can be a huge loss of business opportunities. Overall, this is a great platform to increase traffic to your products/services, build your business credibility and bring in targeted referrals and leads that are ready to convert into customers. It is my hope that after reading this article, you’ll be inspired to learn how to use Houzz for your business marketing. If you need more help with starting an online business – local or affiliate based – please visit my recommended training program for additional training resources or send me a message and I’ll personally walk you through the process. Hope to talk to you soon. Question – Do you have any experience using Houzz? What do you think about the platform as a business marketing tool? Please share your thoughts and experience in the comment area below. Do you mean to say that there are absolutely no fees to join and that you only need to pay 15% of the sale you make? What about when setting up a profile? Are there any restrictions? Are there different levels? And are there options to invest into ads within Houzz to attempt a chance at getting more views/customers? My husband is a painter/designer and I would really love this information for him. Hi Reyhana, as far as I know, setting up a profile is totally free and there’s only that amount of profit sharing to commit. Yes, you can do advertising within the Houzz marketplace through their ProPlus package. I suggest you contact their team for more detailed information. 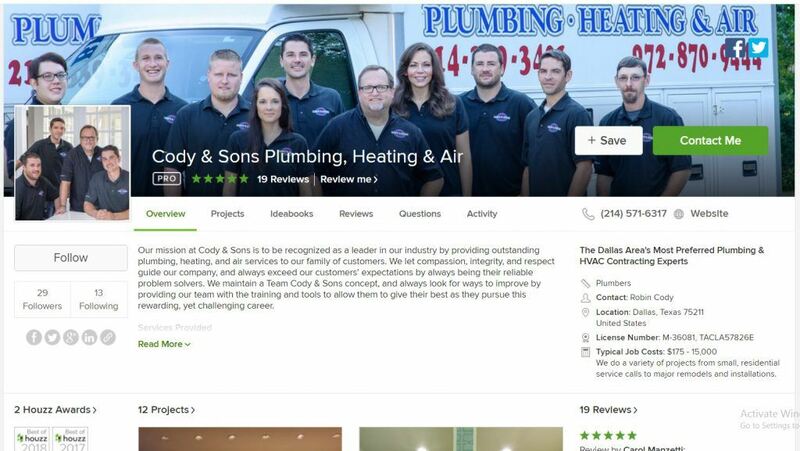 Thanks for writing such a great article on Houzz, Cathy! I had never heard of it before running across your website. My partner and I just purchased our first home together and I will definitely be checking it out just as a consumer. I do have a question. I run a niche website about Siberian Huskies and noticed there is a category of ‘pet supplies’ under the ‘more’ tab. Do you think Houzz has enough pet related items and services for it to be worthwhile for me to make an account and promote them? I guess I could always spin it and promote ‘damage control’ type services for when a dog tears up the house. Hi Jon. It depends on what you are promoting in the Husky niche. If it’s more product – pet supplies – oriented, then you will probably discover a few gems within the Houzz online store. They do have some unique/good quality/fancy items that one rarely see, so it could set your blog apart from other reviews out there who are all linking to Amazon. Have a look at these pet products affiliate programs for more ideas if you are thinking about recommending something else. Hope this helps. Thanks for this great post, Cathy. A friend recently told me about Houzz as I’m in the middle of remodeling my house. I noticed that you said it’s suited to businesses in the home improvement area and cleaning specialists. Can Individuals use this platform to find services that I can use at a later date? 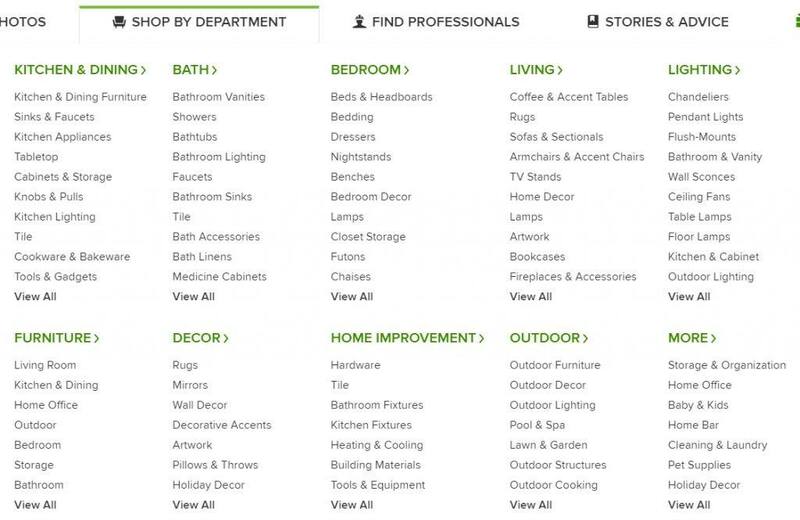 Yes Jeff, it’s basically a marketplace so you can ‘order’ any products or services to help with remodeling your home. I love Houzz! We recently moved into our home and had to furnish it from scratch. I’m constantly checking out Houzz for inspiration and so far it hasn’t failed me. I also love how I can find professionals on there. I am going to need an interior designer for a few aspects in my house. I love how it makes the whole decorating process easy. That’s great to know Hollie. Thank you for sharing your experience. Hi Cathy, I’ve never heard about Houzz before. Does it work like Amazon? Hi Marta. It’s something like Amazon, but more targeted towards the home furnishing niche. You can sell or provide services through the platform, granted you have a business set up already in this industry and just needed an additional online platform to showcase your brand. Alternatively, if you don’t own a physical business, you can promote their marketplace products and earn sales commission as an affiliate marketer – just like what I’ve described above. I have a home industry site and I think Houzz can be really useful for me. However I really wonder about something. I want to promote high quality services and how can I check the quality of home and cleaning service providers before promoting them? Do you have any suggestions? Hi there. The most obvious is to try the services yourself or you could also look at other customer reviews to find out more. However, keep in mind that Houzz’s affiliate program only pays for product sales through their marketplace and not for service recommendation. Hope this helps. Thanks for the review about Houzz. It seems like a great platform for people that want to sell house goods, but don’t know how to get customers in front of their products. The exposure one can get it pretty obvious and if you combined this with a personal blog, it would really help to grow a business. That’s true Michael. Blogging for any type of business is always a good technique to put your brand on the internet space where people can search and discover. It’s just not done frequently enough.